A presidential commission plans to come up with the government’s version of a constitutional amendment bill by mid next month. 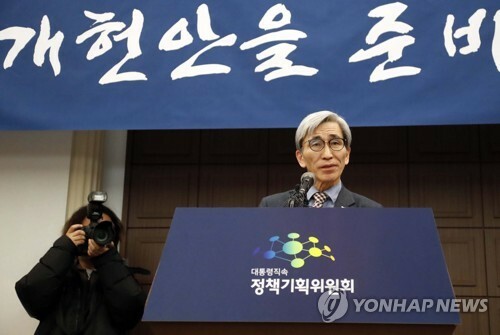 The special public advisory committee on constitution created under the Presidential Commission on Policy Planning held its first plenary meeting at the government complex in Seoul on Tuesday and decided to report the draft plan to President Moon Jae-in on March 13th. During the meeting, the special committee also launched three subcommittees tasked with drafting the details of constitutional revision bill on the governing system of the administration, basic constitutional rights, and transfer of power from the central government to regional ones, respectively. The subcommittees will be up and running until March sixth, together with the so-called public participation headquarters, through which the committee will collect public opinions on constitutional amendment. After the Lunar New Year holiday, the committee plans to hold discussion sessions and conduct public surveys to gauge public views. 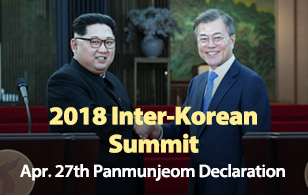 Early this month, Moon instructed the government to prepare its own bill for a constitutional amendment separate from ongoing discussions at the National Assembly, expressing regret over the lack of progress in related discussions in parliament.